Is your student struggling with basic math? Are you looking for outside help in math (basic through pre-algebra)? My name is Marci Taylor; I tutor and teach math from my home in Chelsea. I have homeschooled for 7 years and am a certified teacher for elementary education with a specialty endorsement in Middle Grades Math. I have a passion for helping struggling students gain confidence and competence in the subjects with which they struggle. My tutoring fee is $15 an hour. I usually recommend meeting twice a week. We can meet at a location other than my home, but the cost is $20-$30 an hour depending on the distance. I also teach math classes. 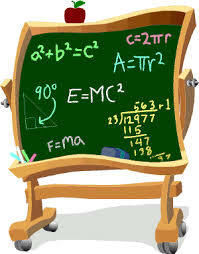 There needs to be three or more students who need help with the same level math and prefer a classroom environment. The base cost is $10/per student/per class (1 1/2 hrs- 2 hrs), usually with 2 classes a week.